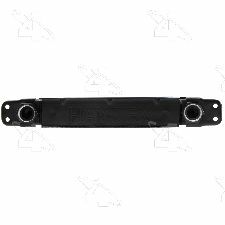 Showing 1 - 10 of 11 Products for Engine Oil Cooler. Light Duty; Complete kit with cooler, hose adapter and mounting hardware. Universal cooler, NOT a direct OE replacement. User to determine fitment prior to installation. Light Duty; Complete kit with cooler, hose adapter and mounting hardware. Universal cooler, NOT a direct OE replacement. User to determine fitment prior to installation. Check for 2" oil filter clearance, some vehicles require remote kit. Light Duty; Complete kit with cooler, hose adapter and mounting hardware. Universal cooler, NOT a direct OE replacement. User to determine fitment prior to installation. No remote oil filter applications for engines with 22MM oil filter thread. Heavy Duty; Complete kit with cooler, hose adapter and mounting hardware. Universal cooler, NOT a direct OE replacement. User to determine fitment prior to installation. Heavy Duty; Complete kit with cooler, hose adapter and mounting hardware. Universal cooler, NOT a direct OE replacement. User to determine fitment prior to installation. Check for 2" oil filter clearance, some vehicles require remote kit. Heavy Duty; Complete kit with cooler, hose adapter and mounting hardware. Universal cooler, NOT a direct OE replacement. User to determine fitment prior to installation. No remote oil filter applications for engines with 22MM oil filter thread. 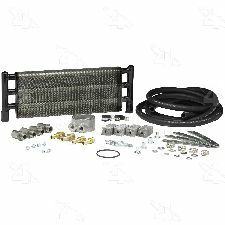 Medium Duty; Complete kit with cooler, hose adapter and mounting hardware. Universal cooler, NOT a direct OE replacement. User to determine fitment prior to installation. Medium Duty; Complete kit with cooler, hose adapter and mounting hardware. Universal cooler, NOT a direct OE replacement. User to determine fitment prior to installation. Check for 2" oil filter clearance, some vehicles require remote kit. 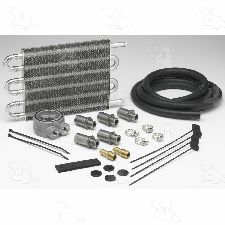 Medium Duty; Complete kit with cooler, hose adapter and mounting hardware. Universal cooler, NOT a direct OE replacement. User to determine fitment prior to installation. 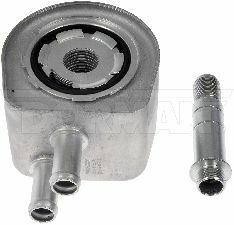 No remote oil filter applications for engines with 22MM oil filter thread.